You can find here details of the Latest Post Shortcode 8.7 new features. 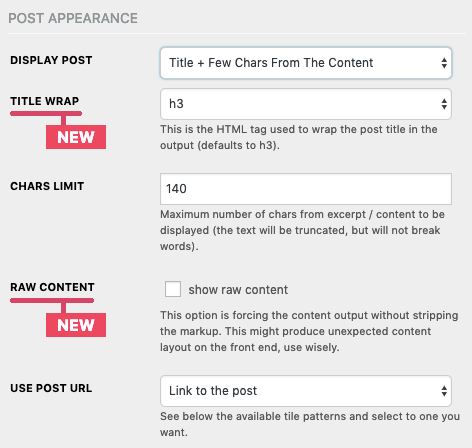 This new feature allows you to configure the element that wraps the post title of the items that this plugin is exposing, for SEO purposes. The option is available in the Display Settings section. By default, h3 is the HTML tag used for wrapping the title, but you can change it to one of the available ones: h1, h2, h3, h4, h5, h6, b, strong, em, p, div, span. 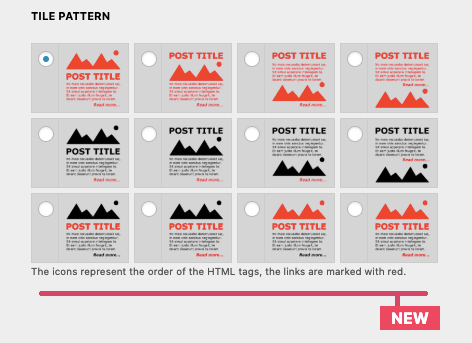 If you want to customize the style for the title element, you could use .item-title-tag as the selector. This is a new feature that allows you to expose the raw content of the posts, without stripping the markup. Please note that this feature can produce undesired layout, and I advise for using it with caution. 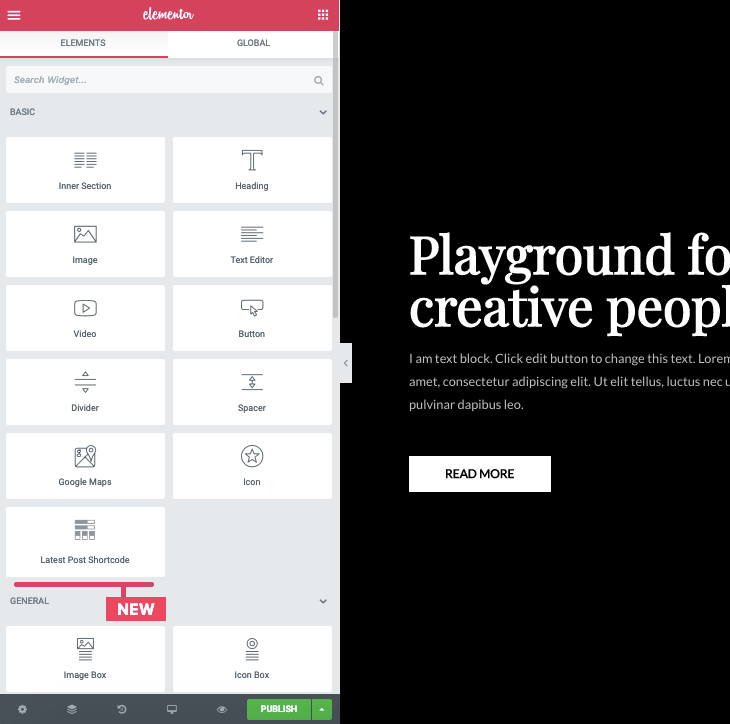 With this version, the plugin implements a basic element for the Elementor page builder. This new element allows you to configure and preview the shortcode output within Elementor. Look for The Latest Post Shortcode icon in the list of basic elements or simply search by LPS or Latest Post Shortcode to drag and drop the element in your page. If you haven’t heard of Elementor yet, find out more here https://elementor.com/. I can only say that it is one of the best WordPress page builders I have tested and worked with this far.